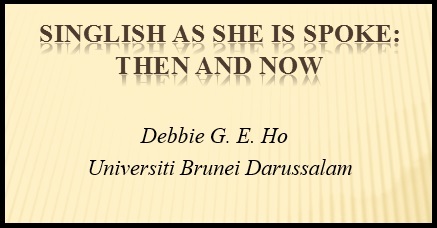 On 9 March 2016, Debbie Ho gave a presentation entitled Singlish as she is Spoke: Then and Now. In it, she discussed the ways that Singlish has changed over the past thirty years, using data from books and plays written in the 1980s and online discourse from 2013-2014. The phenomenon of Singlish is well-known. This is a frame from a video on Singlish that can be found on YouTube. Note the use of the Hokkien expression chin chye meaning 'whatever'. Most of the video is in English, though there are lots of tags such as lah, and the syntax is heavily influenced by Chinese. Obtaining spoken data from the 80s is difficult. 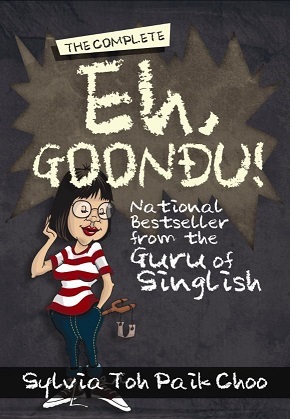 However, books such as Eh, Goondu! 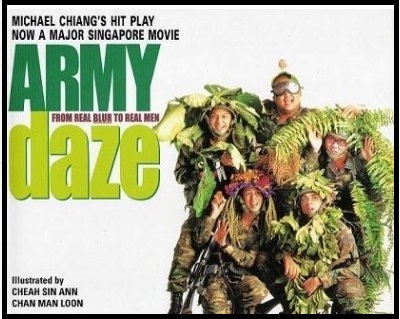 by Sylvia Toh Paik Choo, and plays such as Army Days by Michael Chiang can provide valuable material. For more recent materials, we can get data from on-line media discourse. The Table on the left shows the result of the analysis, comparing the incidence of code-switching from the two periods. While intra-sentential code-switching, often using Hokkien phrases in English sentences, was common in the 80s, use of tags such as lah and ah is the much more common form of code-switching now. One reason for the reduced frequency of Hokkien expressions is because most young Singaporeans no longer speak their heritage dialects.